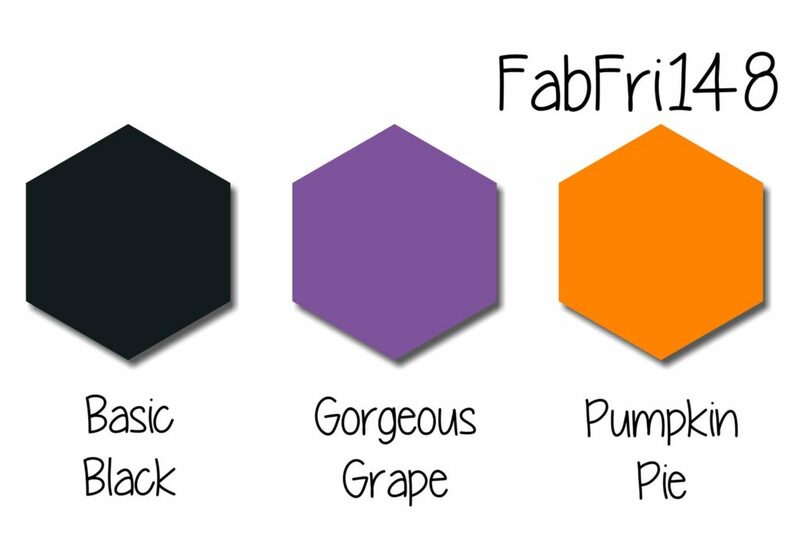 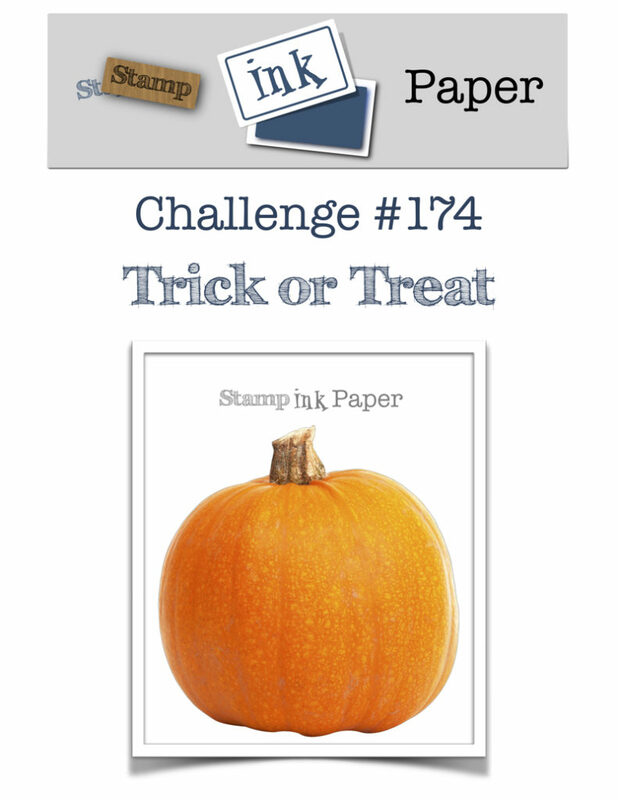 SIP Challenge 174 – Trick or Treat! 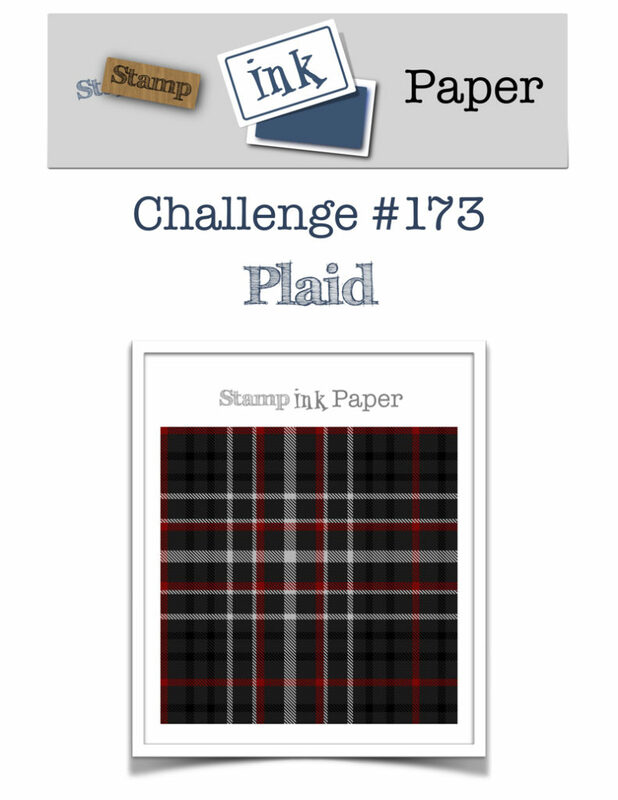 SIP Challenge 173 – Plaid! 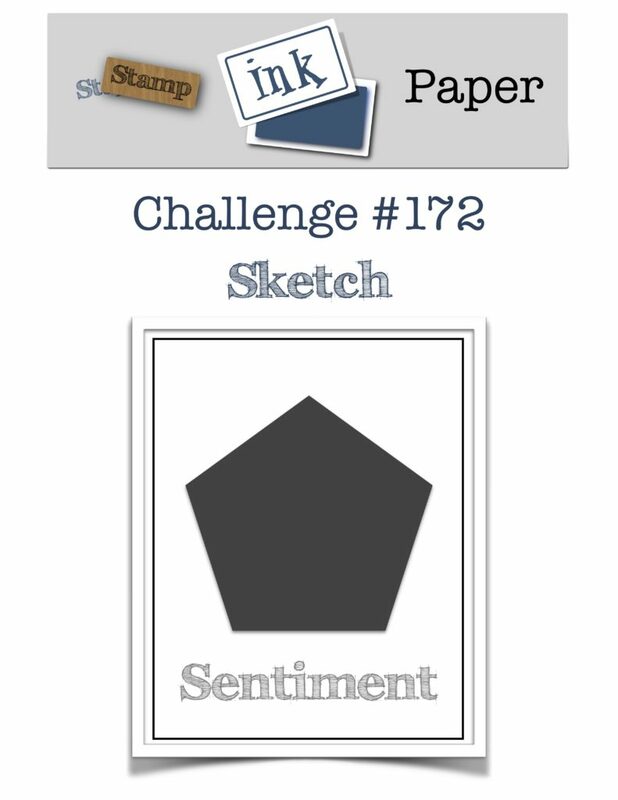 SIP Challenge 172 – Sketch! 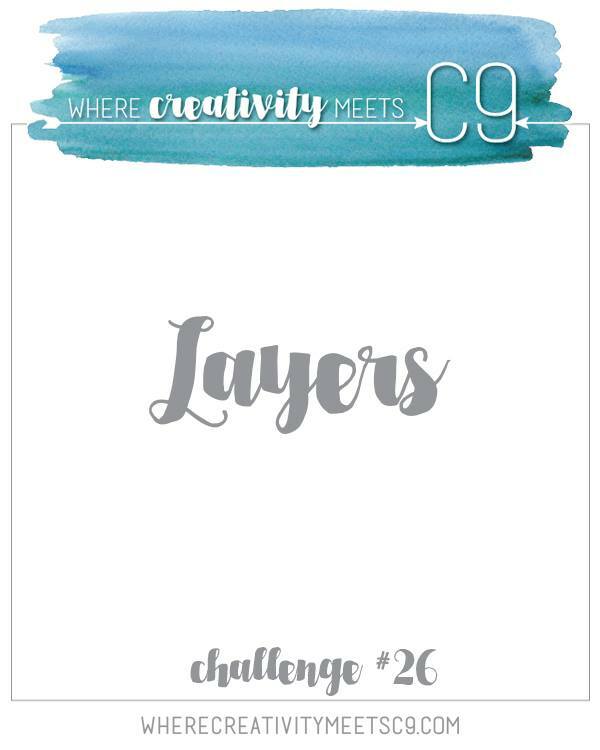 Where Creativity Meets Concord & 9th – Layers! 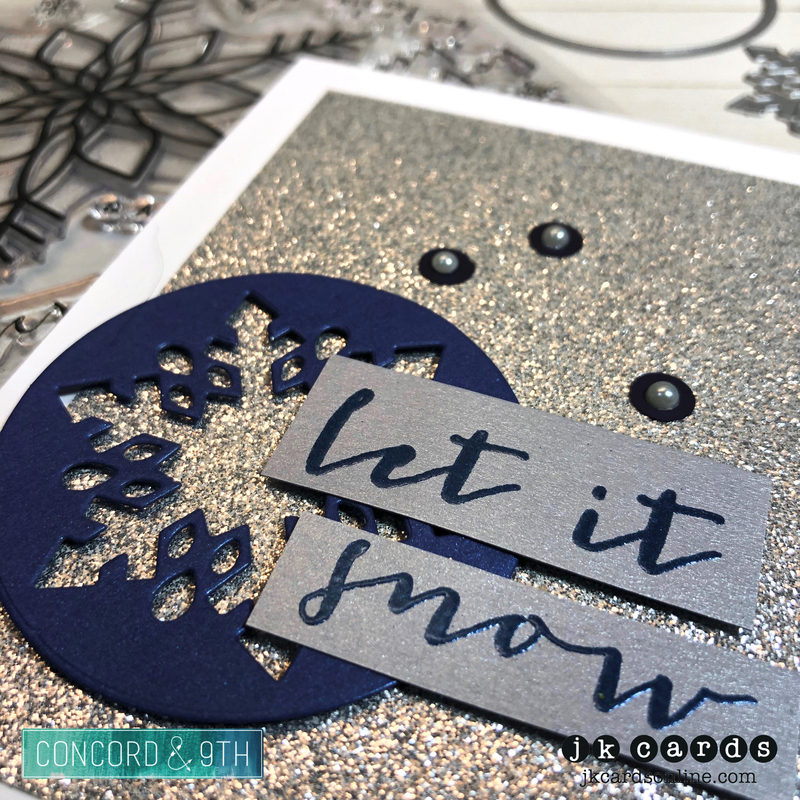 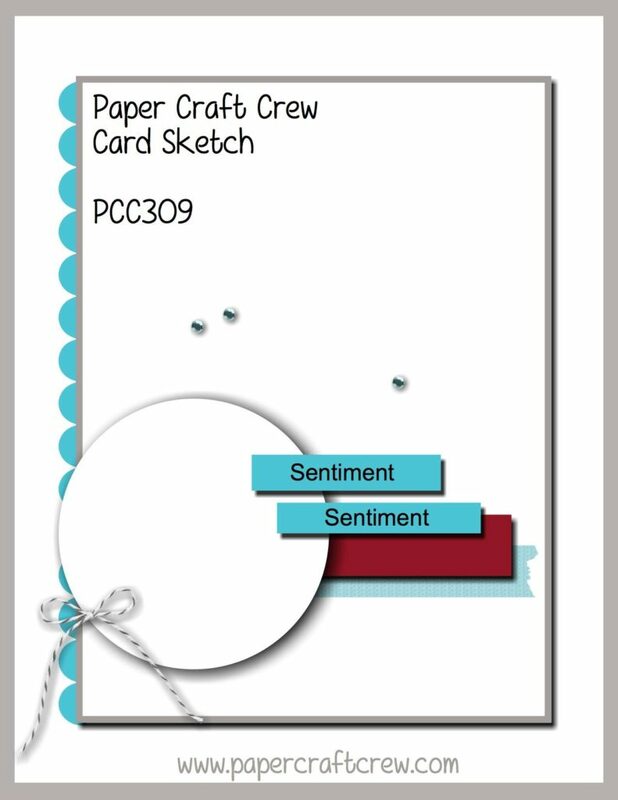 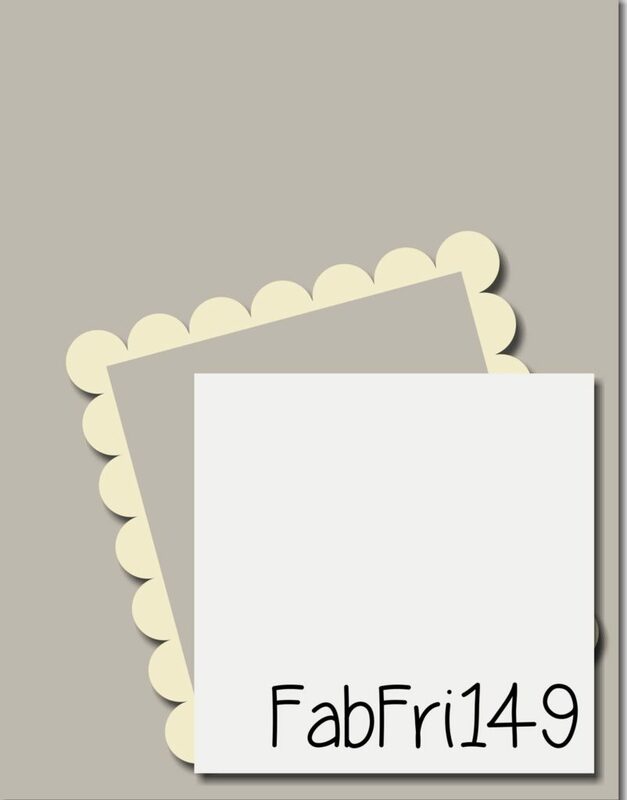 Lately I have been really into more clean cards but who doesn’t love a few layers to give a little wow to your project?! 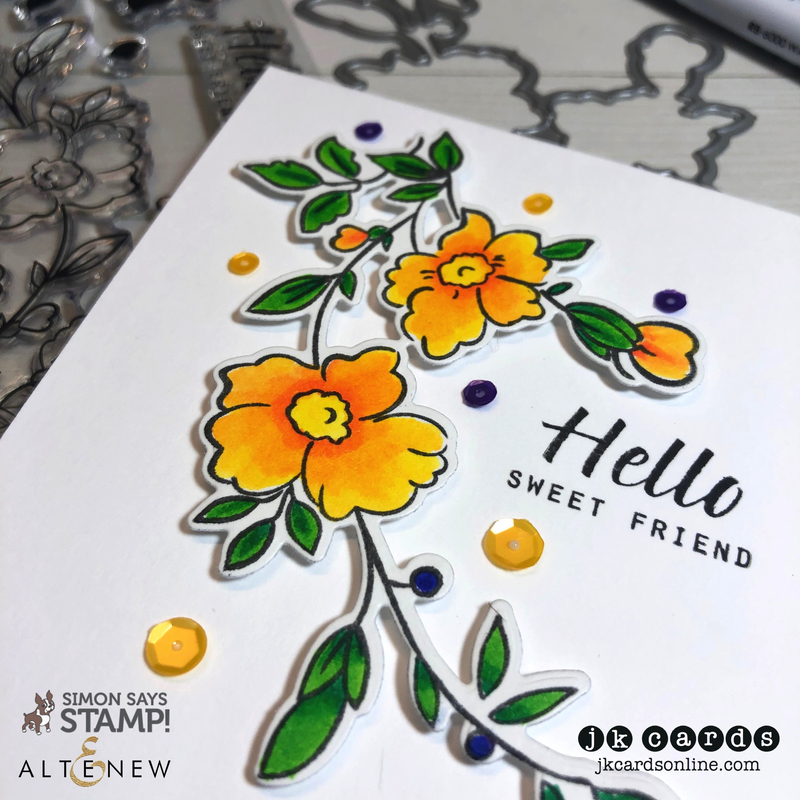 I started my card by stamping the Deck the Halls Turnabout Photopolymer Stamp in Lime Green, Soft Cantaloupe, Tide Pool and Soft Granite Ink onto a piece of Solar White 80lb with my MISTI. 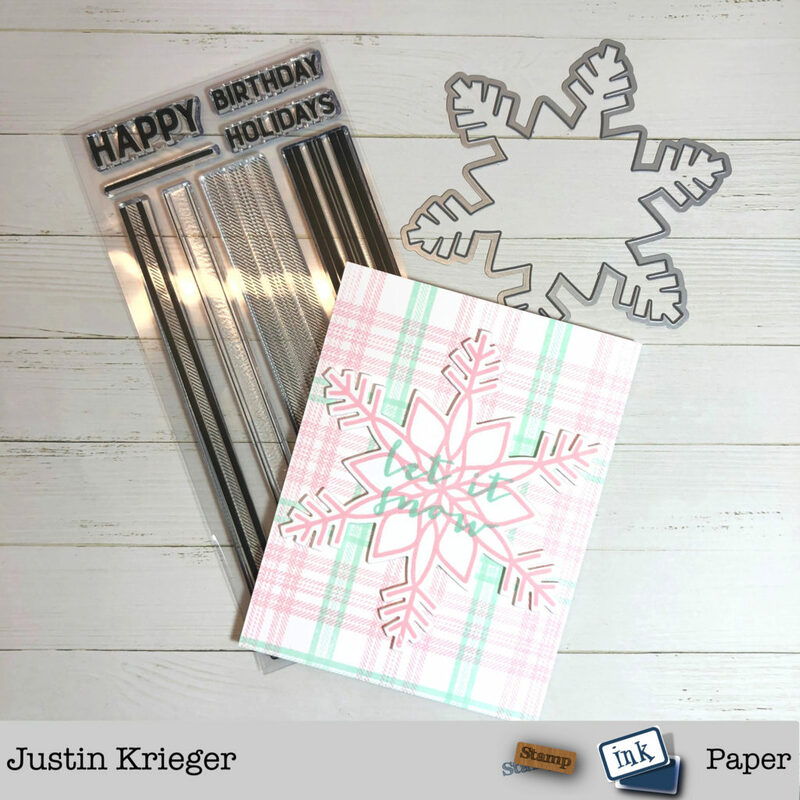 It’s trimmed to 5 1/2″ x 4 1/4″. 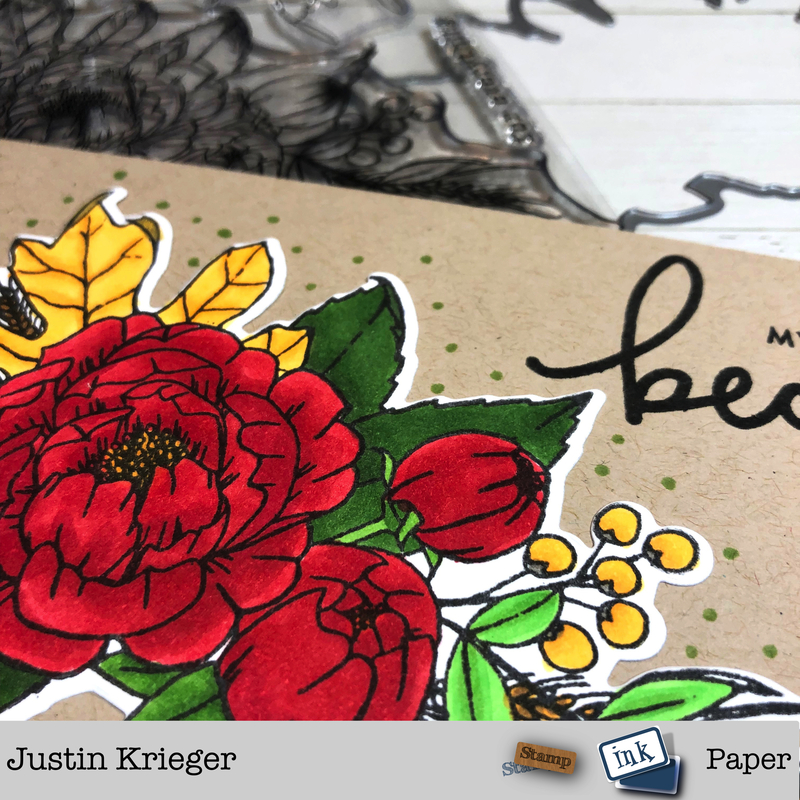 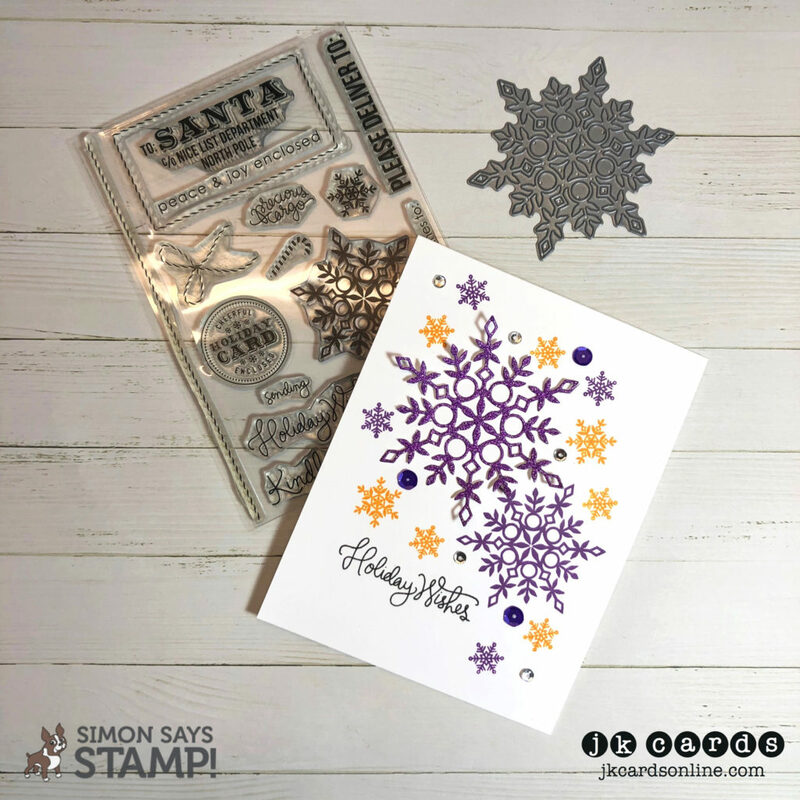 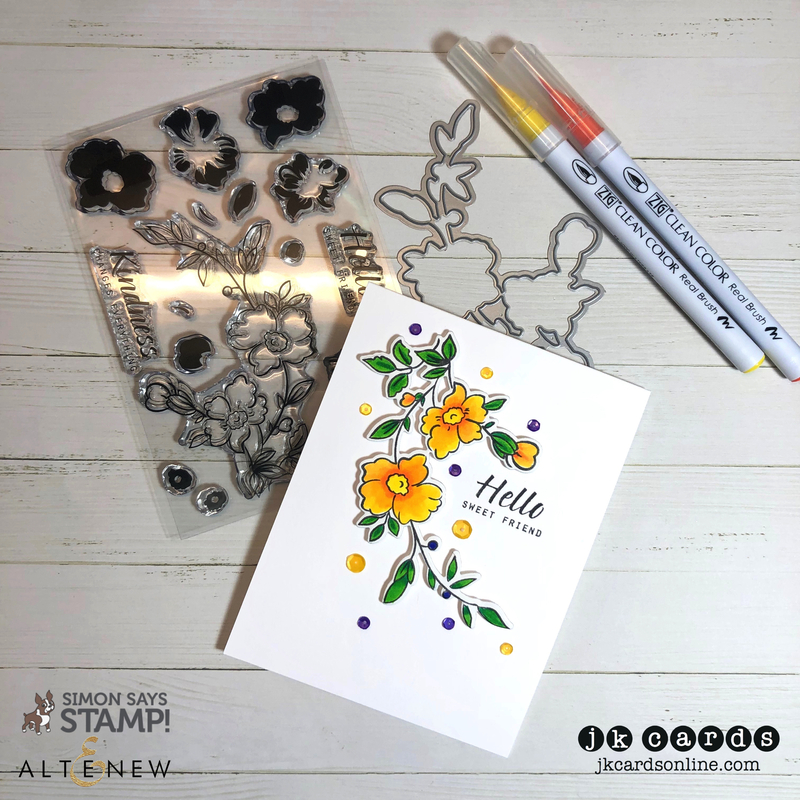 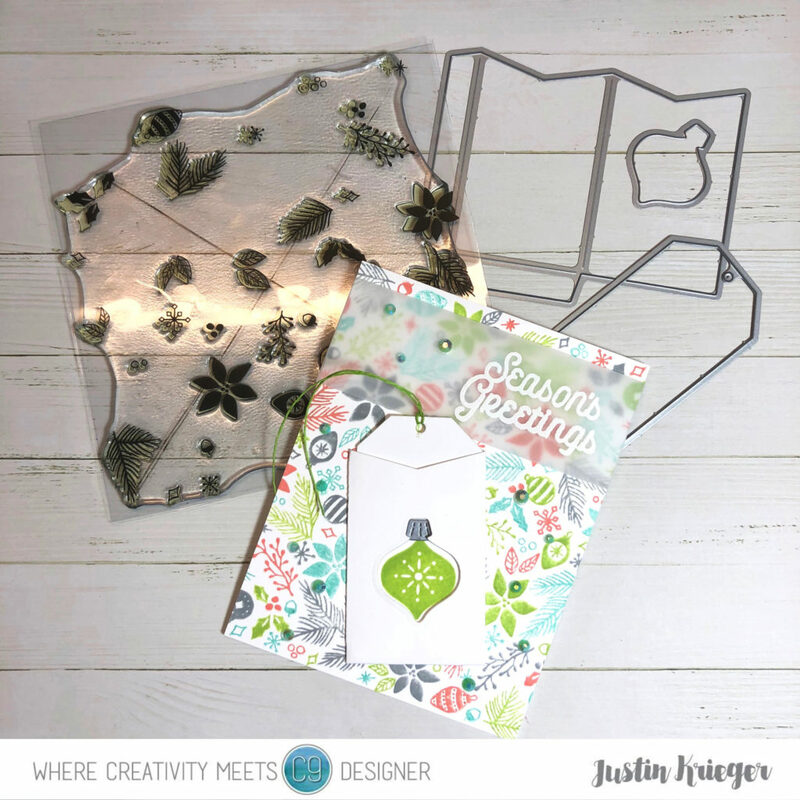 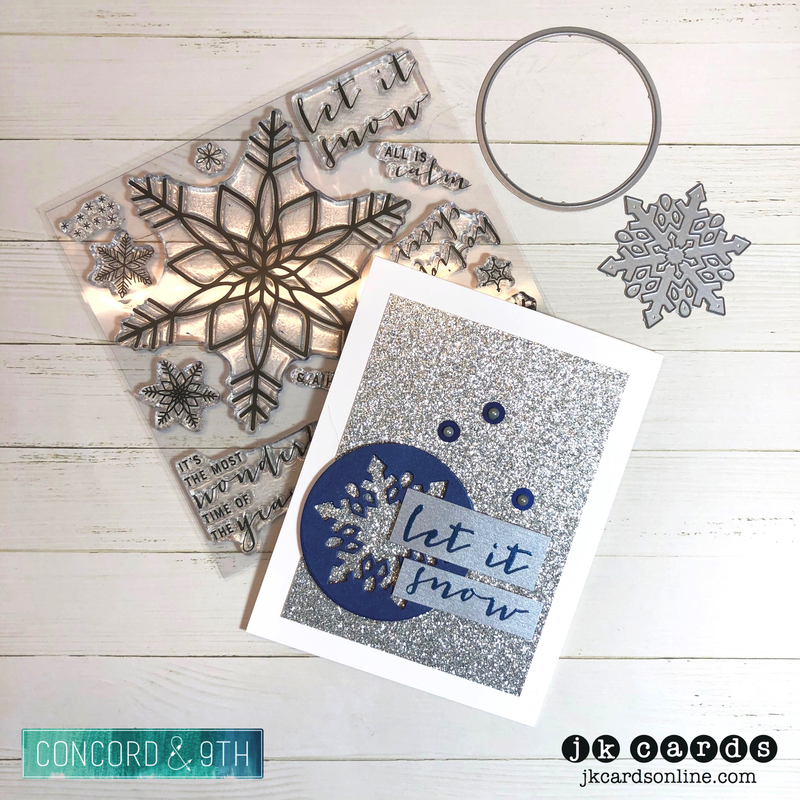 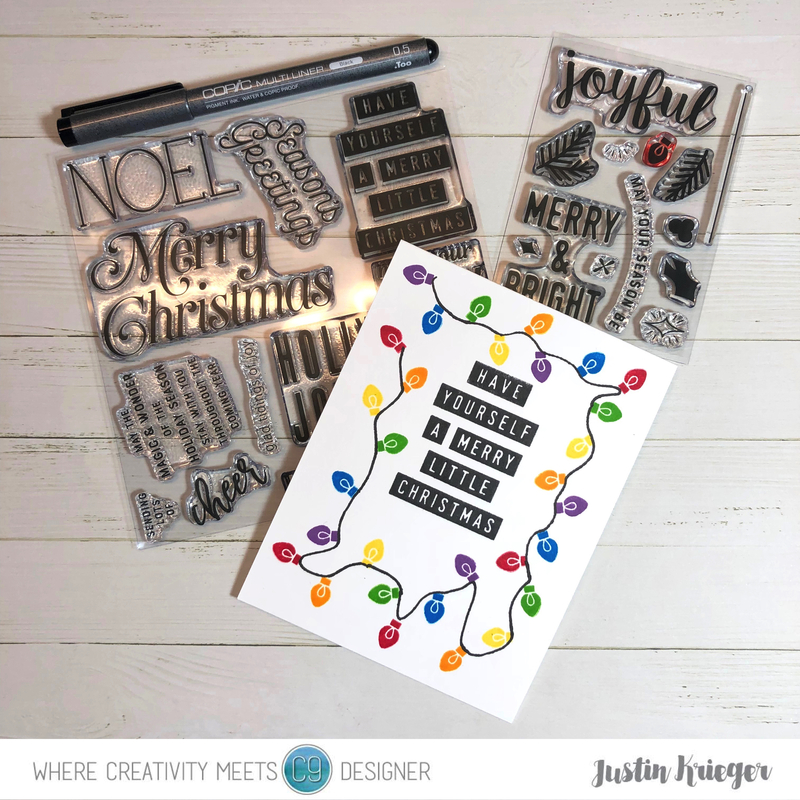 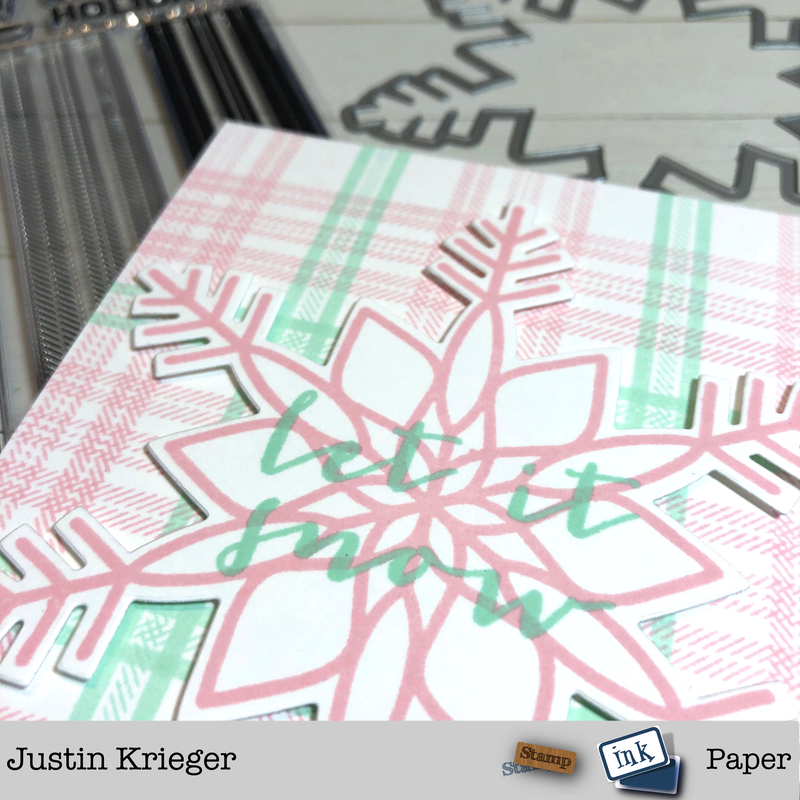 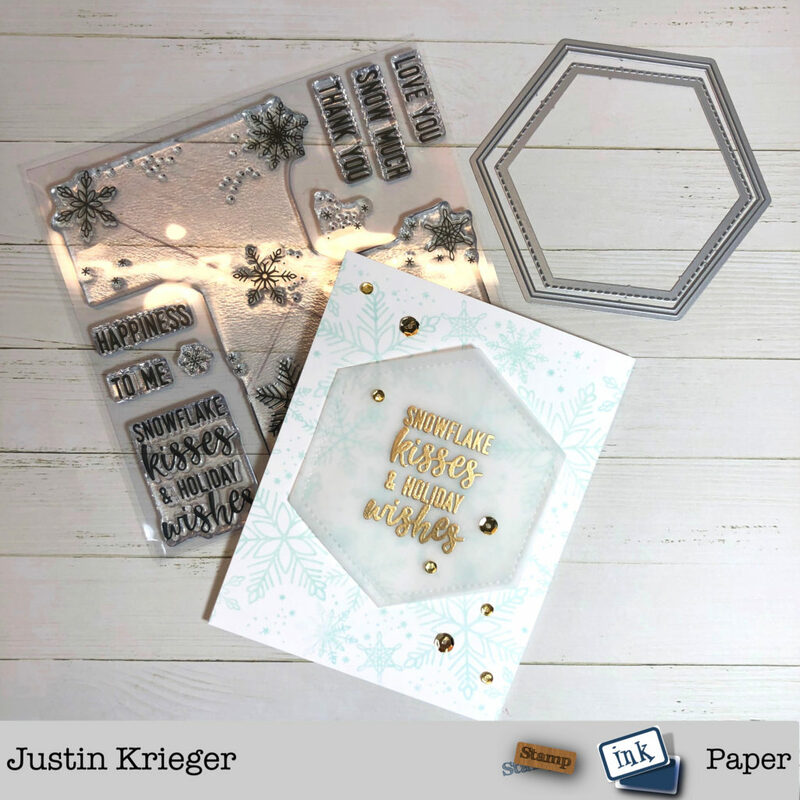 My greeting is from the Very Merry Sentiments Photopolymer Stamp Set and is heat embossed in Hero Arts White Embossing Powder onto a piece of Vellum. 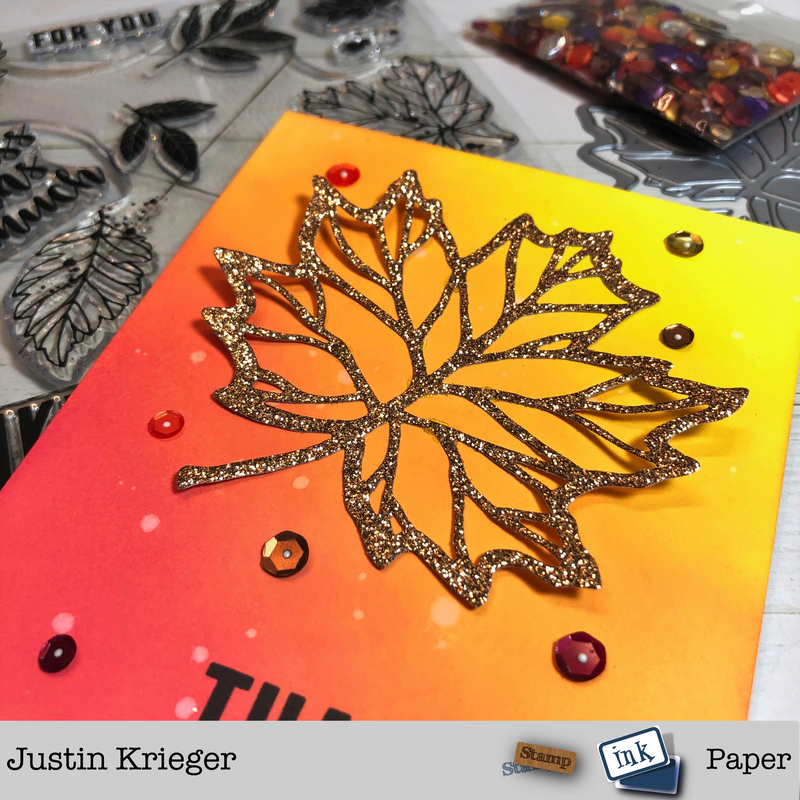 I wrapped it around the stamped panel and added it to a card base of Neenah Solar White 110lb Card Stock. 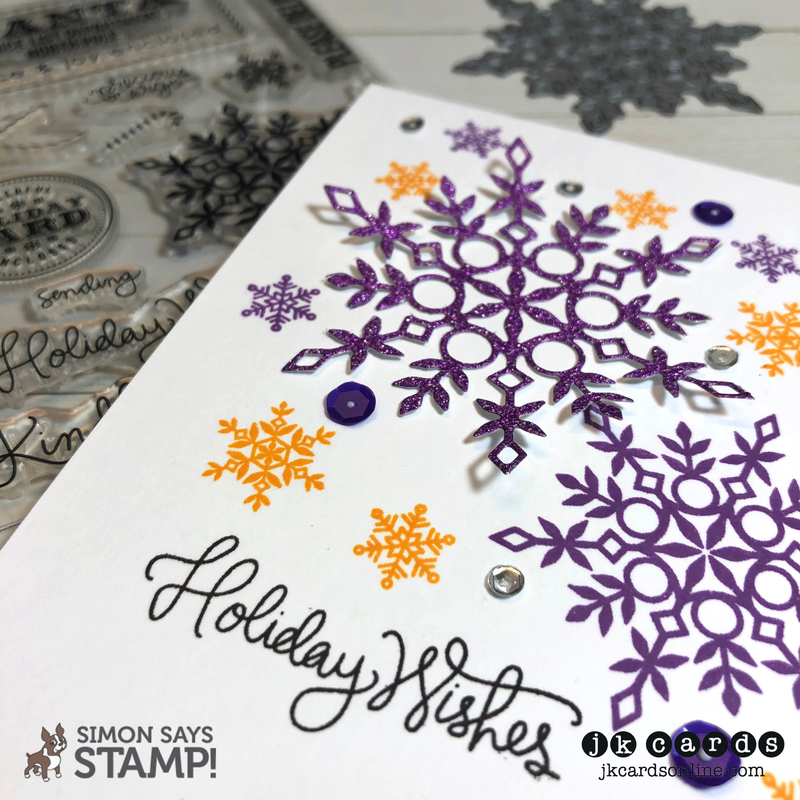 For my tag I used the Holiday Cheer Tags Dies and some more Solar White 80lb. I also used the ornament die to cut out the negative from the center of the tag holder. 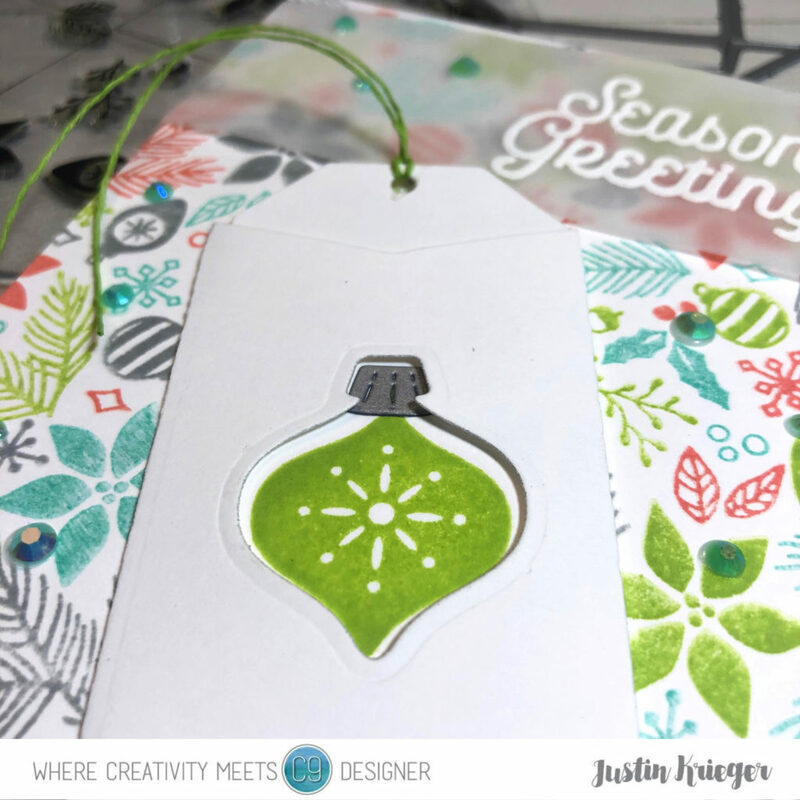 Onto the tag I stamped the ornament from the Holiday Cheer Tags Photopolymer Stamp Set in Lime Green and added the topper cut from a piece of Galvanized Curious Metallic. 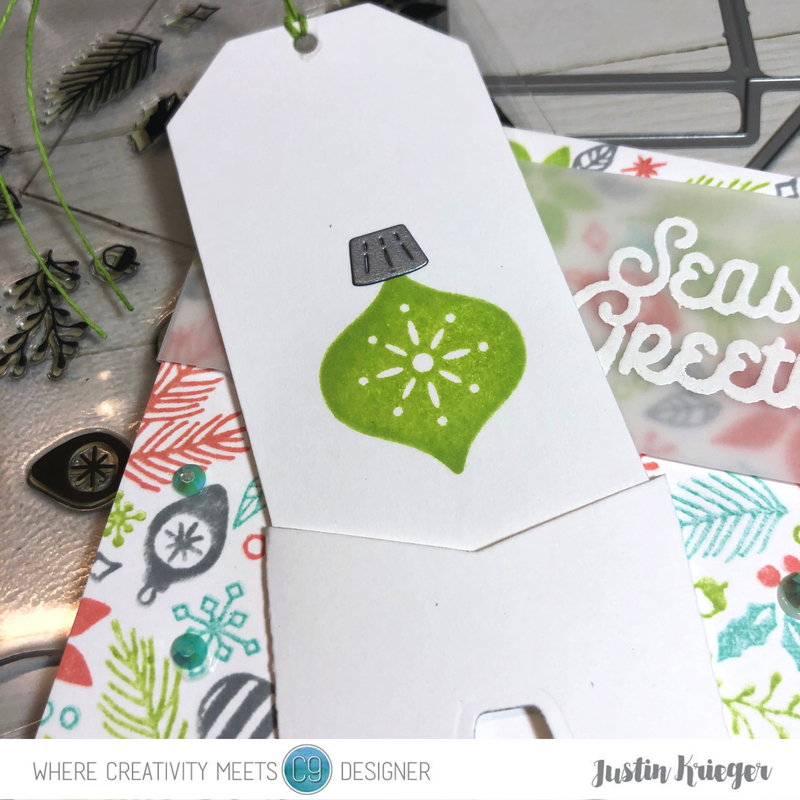 A piece of American Crafts Lime Green Twine is tied through the top and the tag is added to the card. 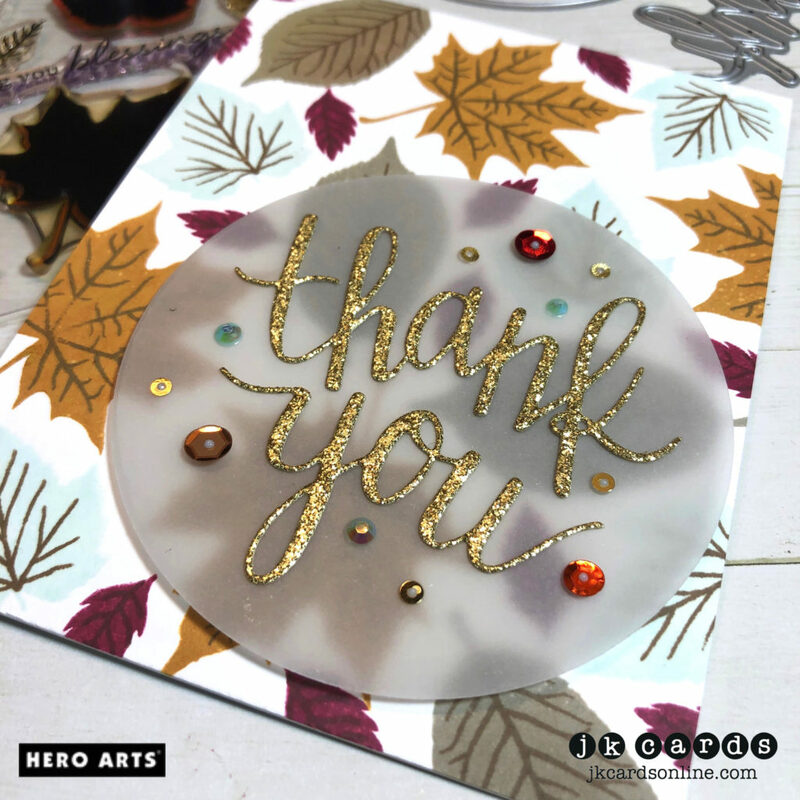 It needed just a little sparkle and to take care of that I scattered some Little Things by Lucy Shimmering Pool Gems. 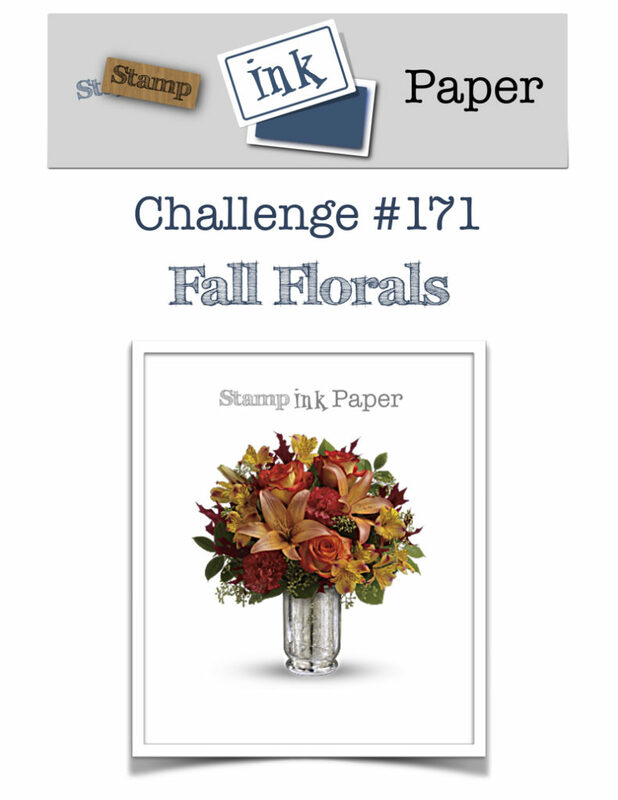 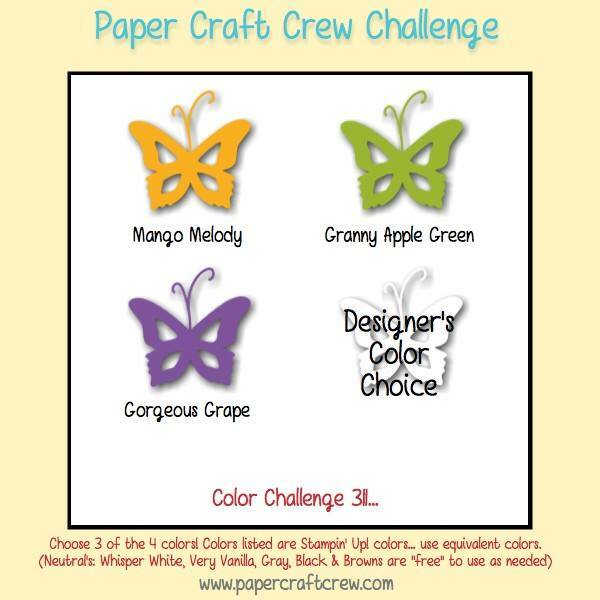 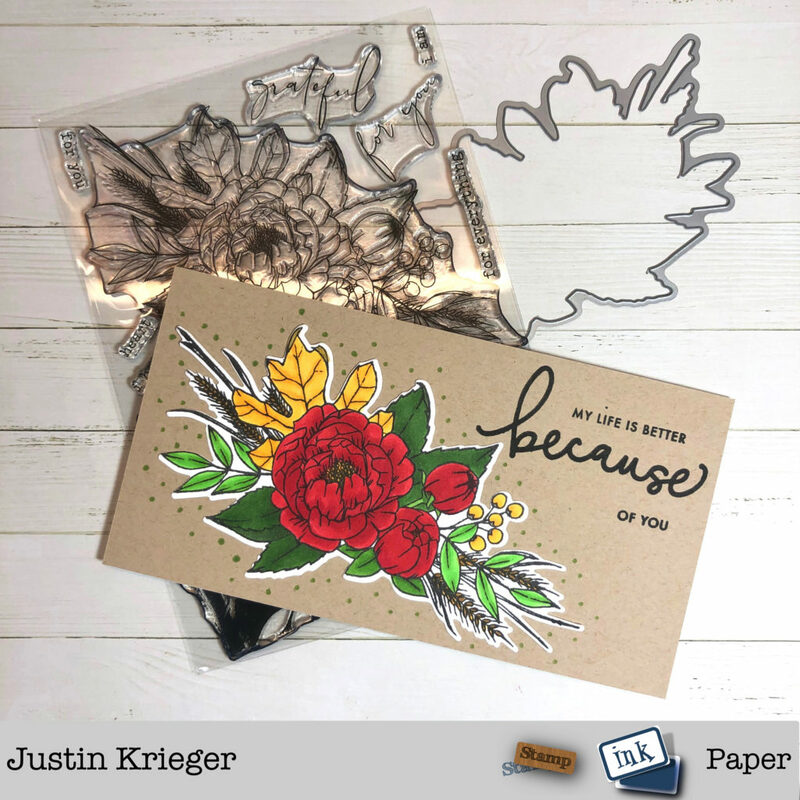 SIP Challenge 171 – Fall Florals!